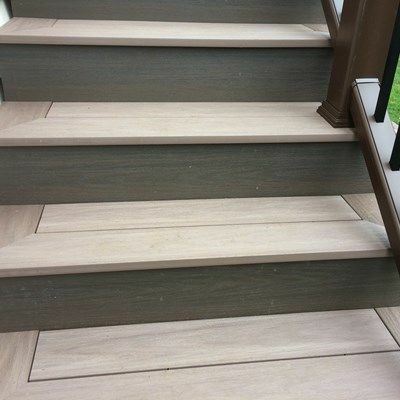 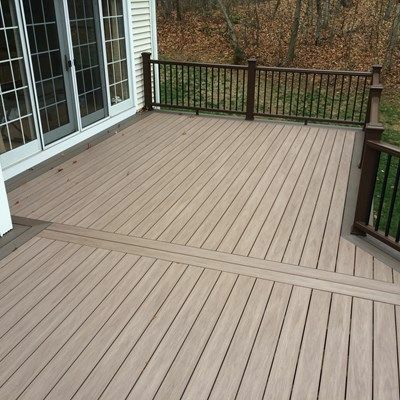 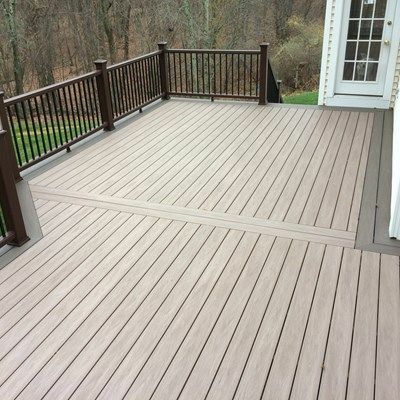 Beautiful Wolf decking boards in Weathered Ipe were used for the main decking, double feature strip & stair treads. 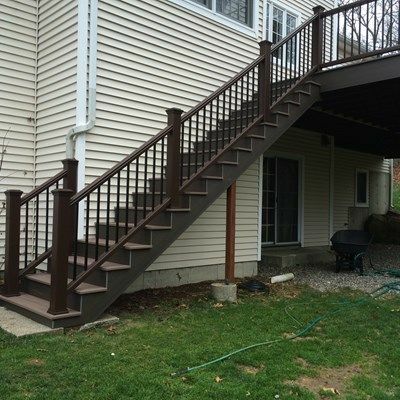 Black Walnut was incorporated into the design via a double mitered picture frame border, stair risers & fascia throughout. 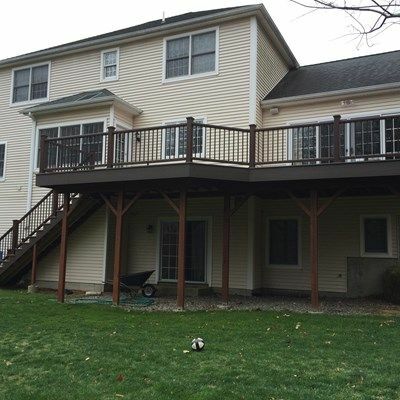 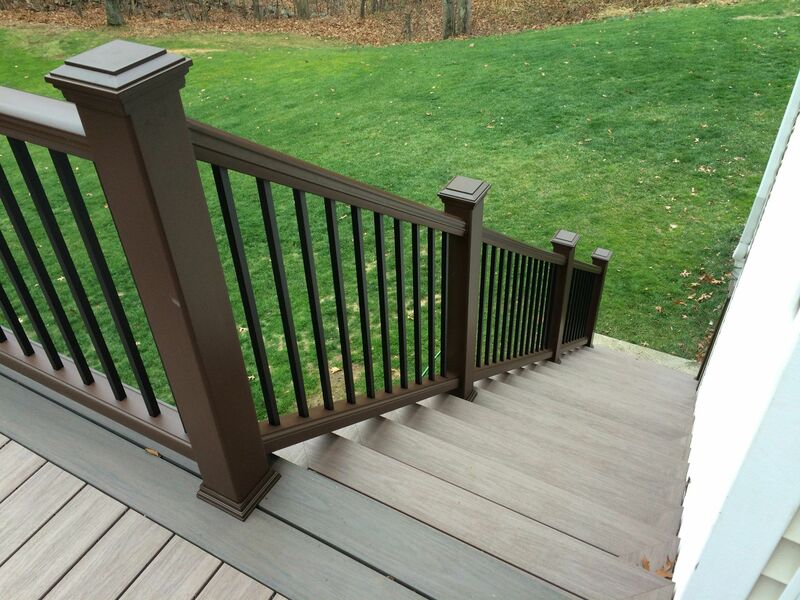 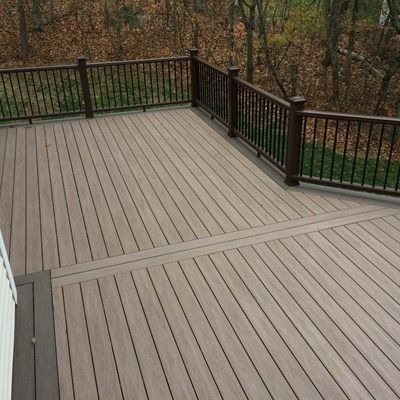 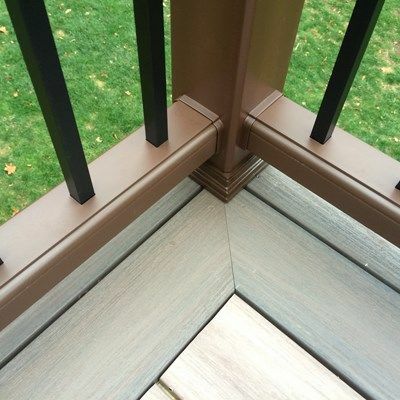 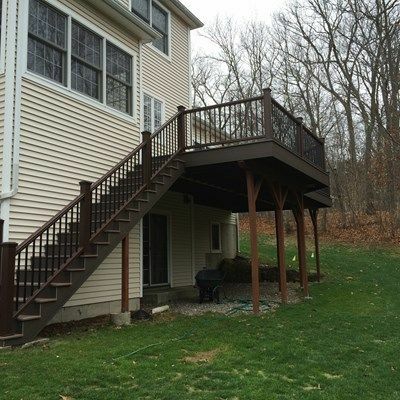 Trex Transcends composite railings with black square aluminum balusters & island caps complete this gorgeous deck.